Origin of Mother's Day goes back to the era of ancient Greek and Romans. But the roots of Mother's Day history can also be traced in UK where a Mothering Sunday was celebrated much before the festival saw the light of the day in US. However, the celebration of the festival as it is seen today is a recent phenomenon and not even a hundred years old. Thanks to the hard work of the pioneering women of their times, Julia Ward Howe and Anna Jarvis that the day came into existence. 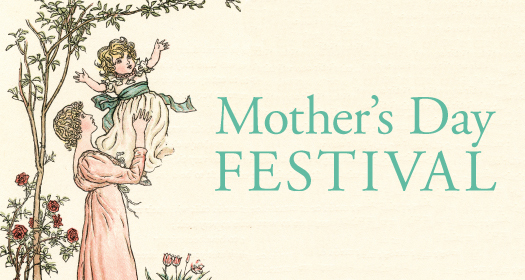 Today the festival of Mothers day is celebrated across 46 countries (though on different dates) and is a hugely popular affair. Millions of people across the globe take the day as an opportunity to honor their mothers, thank them for their efforts in giving them life, raising them and being their constant support and well wisher. The idea of official celebration of Mothers day in US was first suggested by Julia Ward Howe in 1872. An activist, writer and poet Julia shot to fame with her famous Civil War song, "Battle Hymn of the Republic". Julia Ward Howe suggested that June 2 be annually celebrated as Mothers Day and should be dedicated to peace. She wrote a passionate appeal to women and urged them to rise against war in her famous Mothers Day Proclamation, written in Boston in 1870. She also initiated a Mothers' Peace Day observance on the second Sunday in June in Boston and held the meeting for a number of years. Julia tirelessly championed the cause of official celebration of Mothers Day and declaration of official holiday on the day. Her idea spread but was later replaced by the Mother's Day holiday now celebrated in May. Mothers Day OriginAnna Jarvis is recognised as the Founder of Mothers Day in US. Though Anna Jarvis never married and never had kids, she is also known as the Mother of Mothers Day, an apt title for the lady who worked hard to bestow honor on all mothers.